Hugh Farmer: When I first came to Lamma Island in the early 1990s a powerful odour greeted the visitor as you entered Yung Shue Wan. The smell was instantly recognisable and initially overwhelmingly unpleasant. 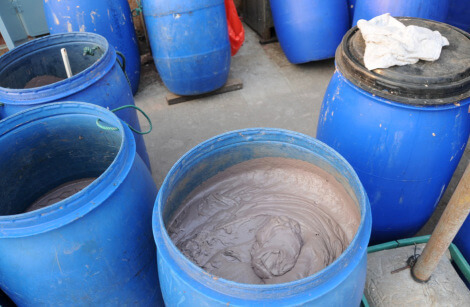 The manufacturing of shrimp paste. I got used to the odour. Then I began to actually like it. And now I miss it, it’s still made on Lamma but in small quantities and the once familiar large, blue plastic barrels in which the paste was made have vanished. 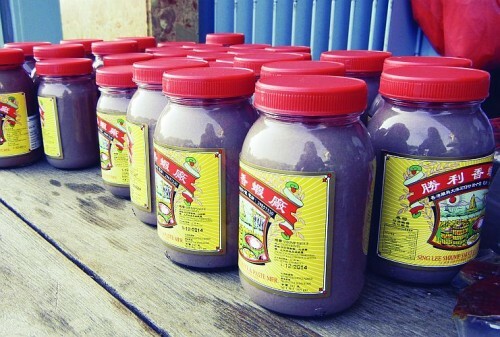 Shrimp paste was and is made in several locations around Hong Kong. Perhaps most famously at the Sing Lee Shrimp Paste Factory at 1 Shek Tsai Po Street, Tai O. 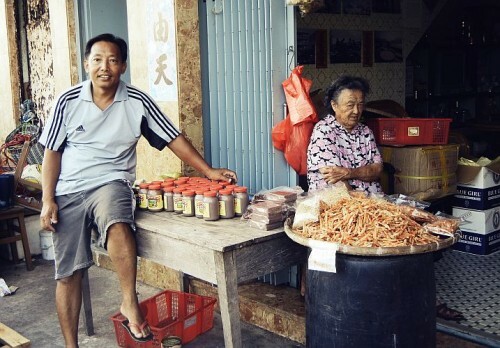 Sing Lee has been going for more than 80 years producing a variety of handmade shrimp sauces. Tai O residents began seafood processing as the fishing trade declined. This article was first posted on 8th March 2014.